LARGER CAPACITY PROVIDES LONGER FRESHNESS: 3.5L water tank provides a 323sq.ft room with up to 12 hours of continuous and all-dimensional misting, protecting each corner of your room, which enables you to stay fresher longer. TOUCH BUTTONS WITH RED/GREEN/BLUE INDICATING LIGHTS: Three indicating lights show moisture output and sound level. It enhances the overall beauty, serving for decorative ends. 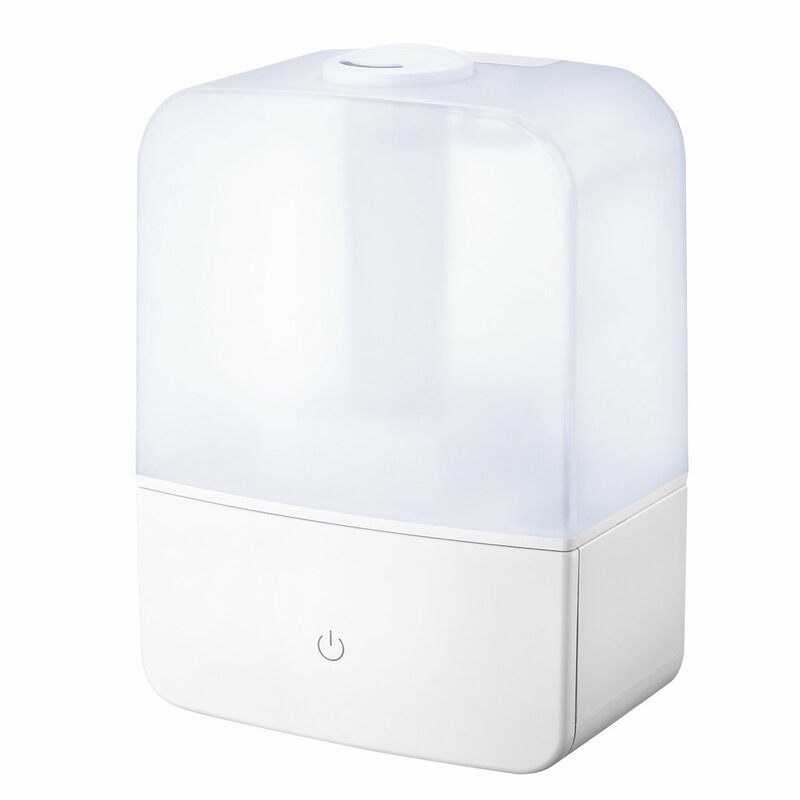 SMART LOW-WATER PROTECTION: The humidifier stops working automatically once low water is detected, ensuring the safety of living environment. ULTRASONIC TECHNOLOGY: With enough and uniformed mist, whisper quiet operation, it avoids the noise and always ensures you a peace of mind for overnight use. PURIFIED HUMIDITY: It provides clean moisture output with pure water, which creates pure, healthy and comfortable humidification effect.